Go on to learn about the ways you can use the baking soda in the garden and kitchen. Your tomato fruits will have a sweater taste, will lower their acidity, and will easily “shake off” pests if you lightly sprinkle the soil they are planted in with some good quality baking soda powder. If you have flowers that thrive in alkaline soil, then with the baking soda you’ll get them to bloom magnificently! Begonias, geraniums and hydrangeas get a great benefit from being watered with a slight amount of baking soda, dissolved in the water. Note: Be sure to check often for signs of burning. If no burning occurs (some plants are very sensitive! ), the spray can be safely used once a week. Do you need advice how to effectively get rid of backyard slugs? This is it: skip the expensive and hazardous chemicals! Instead, lightly pour baking soda on them! Note: Measure out 2 teaspoons of the mix and add it to 1 cup of water. Add this water to your plant sprayer. To keep the smell of a compost area down, use baking soda right out of the box on the compost pile. This also helps prevent acidity from building up. You can use the white powder as an effective tool for cleaning a bird bath without toxic chemicals. After you have put baking soda on it, use a damp cloth to get rid of filth, and then rinse well with water. You can also use the baking soda to clean clay flower pots thoroughly and then you rinse them clean. In this way, no harmful residue of the baking soda will be absorbed inside the clay. When using clay pots, you can keep soil fresher by first coating the pot with a thin layer of baking soda, and then adding the planting soil. If you have cut flowers and you want to extend their life, do not use commercial packaging solutions. Rather, just descend the flowers into a mild mixture of baking soda and water. 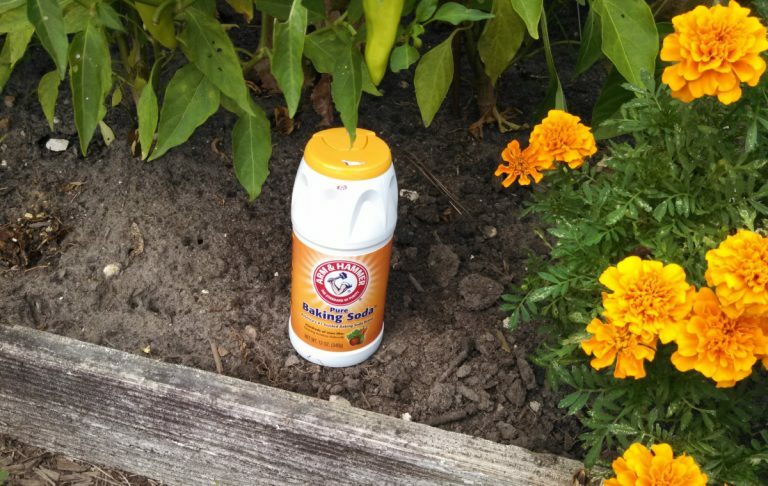 Eliminate pesky ants at the source by adding baking soda to the ant ‘hill’ when it is damp. A half an hour later, add a small amount of vinegar they will ingest on the way out, and eventually die from. Smear baking soda across the entire surface of the cutting board, then douse it with some vinegar. When the foam completely subsides, rinse it off with hot water. If you hate the odor of garlic and onions on your hands right after you peel them, just sprinkle some baking soda onto your palm, and add just enough water to make a spreadable paste. Rub it between your palms energetically, and then smoothly rinse the white paste off your hands and the smell with it! Just boil some vinegar and 4 tablespoons of baking soda in them on very low heat, and let it simmer for a few minutes to prevent the rich foam from coming out of the pots. Do your refrigerator’s crisping bins smell bad? If they do, drop a little baking soda into them to keep them odorless, and then put a paper towel on top of the powder. Write the date on the towel so that you remember to add fresh powder in 3 months. If you’re looking to get the grease off your barbecue grills and clean them up, then you can apply some pasty baking soda with a wire brush. Let it rest for 15 minutes, and wipe and clean after. Any residue should be taken away by letting the grill fire burn for a few moments, before adding the food onto the grill’s surface. This solution keeps the inside of your microwave looking brand new. Check it on!